Open the "Color Chooser" window. Hey rad, welcome to the Affinity Forums. I see what you are saying, however I believe that this might be how it should work. When you adjust the tint, you are changing the tint but not necessarily the colour. If you colour pick the 50% tint with the Colour Picker, the values change but the tint is also changed back to 100% for the new colour. I've just checked this in Illustrator and I seem to be getting the same results (see attached). The CMYK values are still true even though the shape shows it is white. 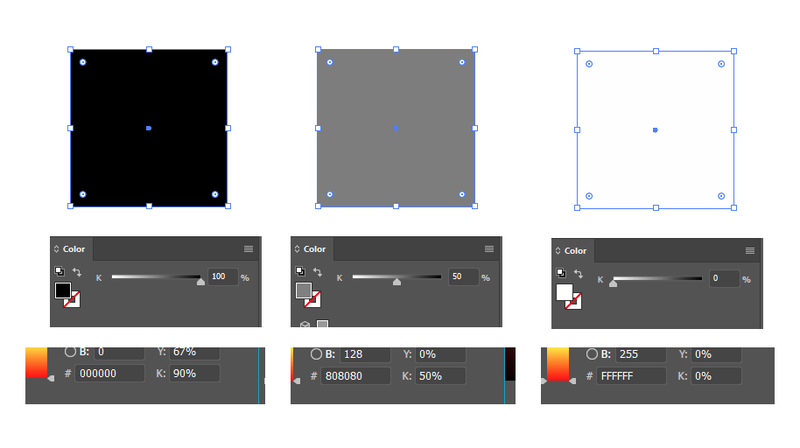 Open the color picker window > #000000 (don't create a global color..) > create a shape and change the Grayscale slider. The Hex value will change. Repeat the same process in Affinity Designer and it won't change.